Roland Blues Cube Tour guitar amplifier. 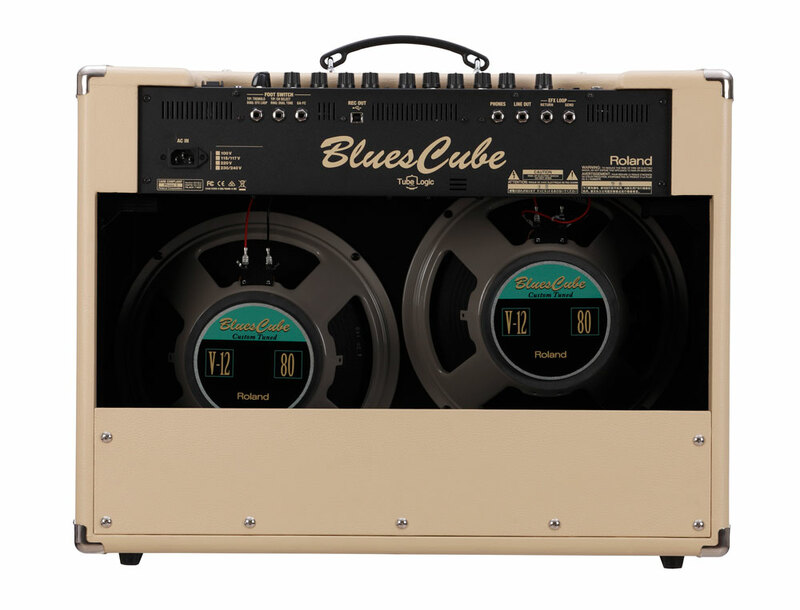 Roland has just announced the Blues Cube Tour and Blues Cube Artist 212, two new amps in the respected Blues Cube series. Ready for big stages, these powerhouses pack great Tube Logic tone and many features to support the needs of guitarists performing in large clubs and concert venues. 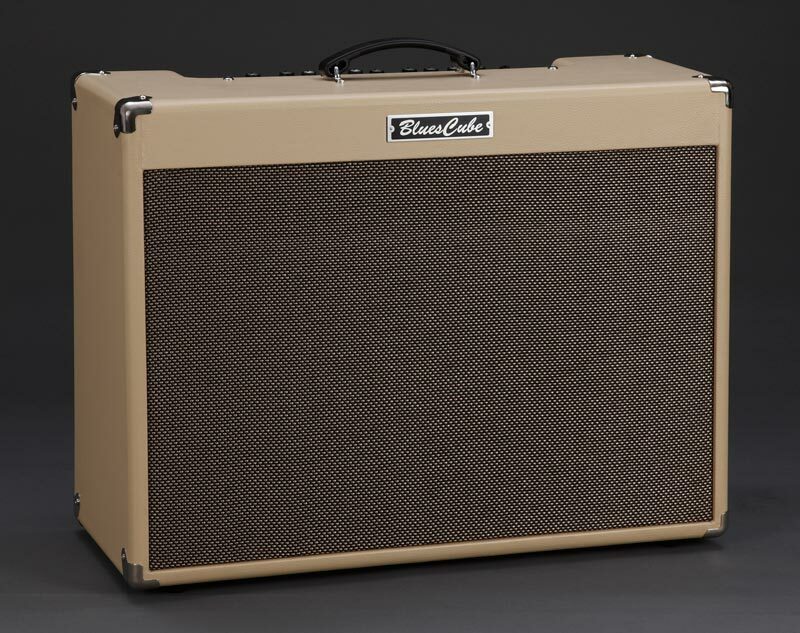 The Blues Cube Tour and Artist 212 feature Roland’s acclaimed Tube Logic design, which provides authentic tube tone and touch response with modern advantages like lighter weight and maintenance-free operation. Going far beyond modeling, the Tube Logic approach starts by carefully reproducing the inner workings of the revered tweed-era tube amp in every way, including preamp and output tube distortion characteristics, power supply compression, speaker interaction, and much more. Simply put, everything that players love about a dialed-in vintage tube amp is there in a Blues Cube as well. Blues Cube Tour head and companion Cabinet410 speaker. As the most powerful amp in the lineup, the Blues Cube Tour is the new flagship in the Blues Cube series. With 100 watts, the Tour head delivers power and headroom for performing on big concert stages. It’s equipped with clean and crunch channels, and each has its own dedicated EQ, along with Boost and Tone switches to shape the character. The unique Dual Tone mode is also included, allowing you to blend both channels together for many cool tonal possibilities. The Blues Cube Tour head has two channels, each with their own EQ. The companion Cabinet410 delivers smooth highs and rich low end at high volumes, offering clear, wide-range sound for any gig. 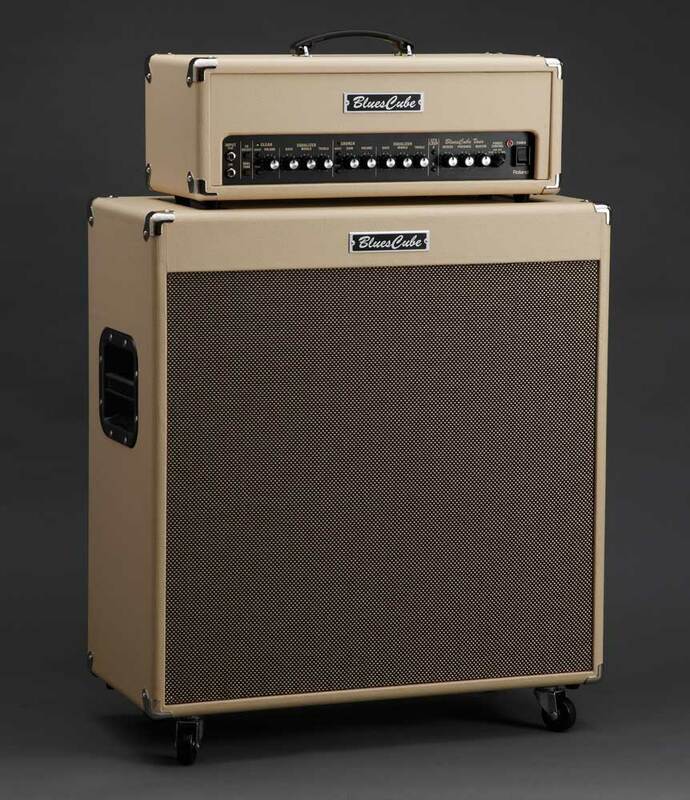 Equipped with four custom 10-inch speakers, the Cabinet410 provides the classic 4×10 open-back configuration of sought-after vintage combos, but in a convenient standalone cab with reduced size and weight. 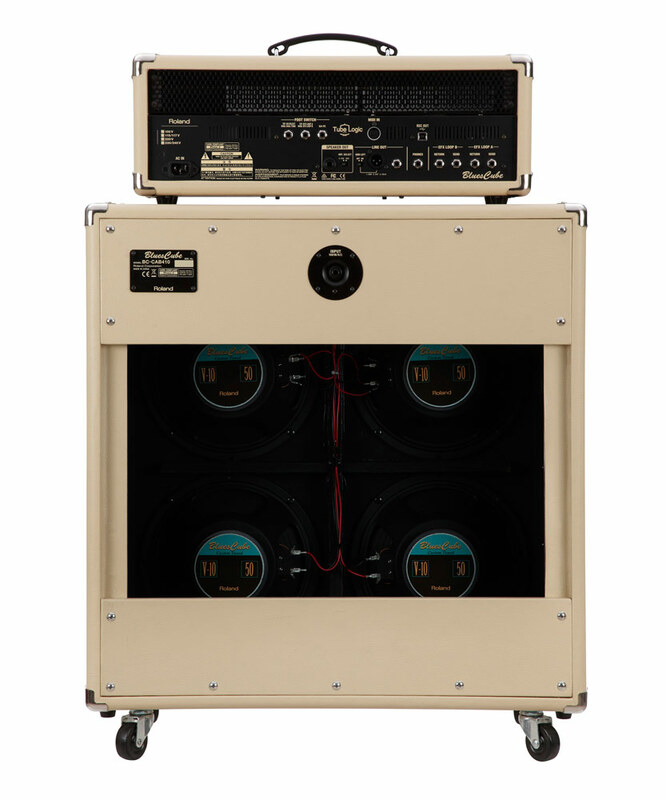 The Cabinet410 is an open-back cab with four custom 10-inch speakers. Equipped with two custom 12-inch speakers, the Blues Cube Artist 212 is perfect for nightclub and stage performers who need the full voice and big projection of a dual-speaker combo. Blues Cube Artist 212 guitar amp. Beyond it speakers, the Artist 212 is outfitted with the same channel setup and connectivity features as its sibling, the 1×12 Blues Cube Artist combo. With 85 watts of power, there’s also additional clean headroom when you really need to cut through. Compared to typical 2×12 amps, the Artist 212 offers reduced size and weight as well, making it easier for working players to travel from gig to gig. The Artist 212 combo is outfitted with two custom 12-inch speakers. Both the Blues Cube Tour and Artist 212 share other great features common to the Blues Cube series, including built-in variable power control, USB and line outputs for direct recording, and more. Learn more at the Blues Cube Tour and Blues Cube Artist 212 product pages at RolandUS.com.